As American workplaces become increasingly more diverse, the Equal Employment Opportunity Commission (EEOC) is working to provide clarity on acceptable workplace standards. High volumes of employee discrimination claims received by the EEOC (3,721 new charges by employees in 2013), have elevated the area of religious accommodation as a review priority. In March 2014, the EEOC issued two new technical assistance publications concerning religious garb and grooming in the workplace. Title VII, which governs matters of religion, requires most private sector and government employers with 15 or more employees to permit applicants and employees to follow dress and grooming practices in keeping with their religious beliefs unless doing so would create an undue hardship on the operation of the employer’s business. It also prohibits non-religious organizations from requiring an employee to wear religious attire or participate in religious grooming to which the employee objects. Title VII broadly defines “religion” to include spiritual beliefs that are not part of a formal church or sect and which may only be followed by a small number of people. A belief need only be “sincerely held” to be protected under Title VII. Common forms of expression of religious observance include the Christian cross, the Jewish Star of David, the Muslim hijab, and the Sikh turban. Shaving practices, hair lengths, and body piercings and tattoos may also be expressions of religious practice. While uniformity of appearance may be so important to an employer that modifying the dress code could be argued to pose an undue hardship, the EEOC has consistently stated that decisions not to accommodate a religion’s practice on the basis of maintaining a desired marketing image or in response to customer preference are generally not appropriate. In most cases, materially changing an employee’s job in response to customers’ negative comments regarding the employee’s religious practice – for example, transferring the employee to a position in which he or she will not have interaction with customers – is considered to be a discriminatory act in violation of Title VII. The law prohibits segregating or classifying employees on the basis of religion, particularly on the basis of discriminatory preferences expressed by customers, clients, or co-workers. However, arguments relating to safety, security, or health may justify denying an accommodation request under certain circumstances, so long as the requested accommodation would impose an undue hardship. The courts typically define an “undue hardship” as more than a de minimus expense or burden on the operation of the employer’s business. An employer does not waive any of its usual dress and/or grooming policies by making a proper religious accommodation and is not required to permit similar accommodations for secular reasons. Addressing religious discrimination in the areas of religious dress and grooming is one of the EEOC’s areas of priority under its Strategic Enforcement Plan. With that in mind, employers would be well advised to proactively reinforce the above principles in their managerial training and employment policies. 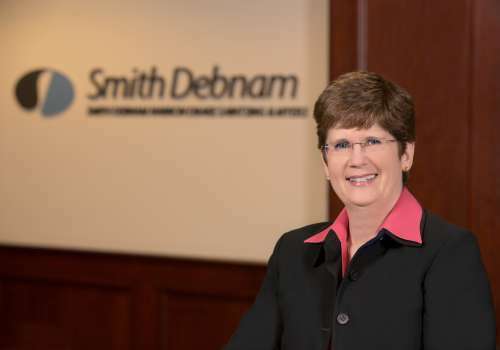 If you have questions or concerns about this regulatory guidance or other legal issues, please feel free to contact Connie Carrigan at ccarrigan@smithdebnamlaw.com.